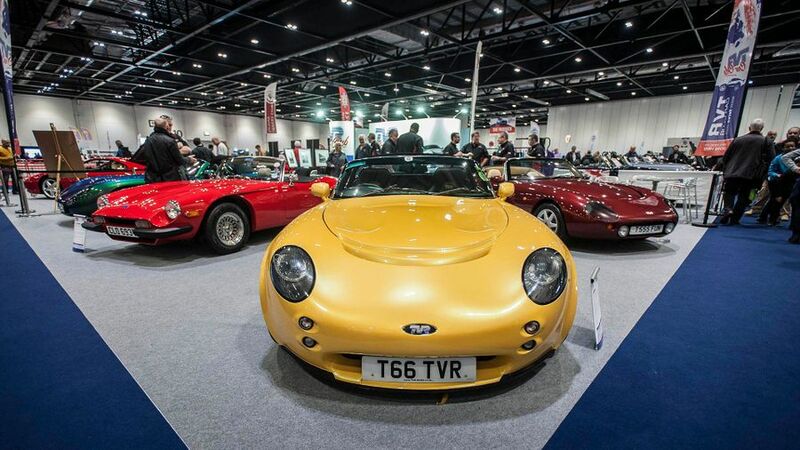 The London Classic Car Show returns to ExCel London from 14-17 February 2019. Find out everything about the show, plus win a pair of tickets. 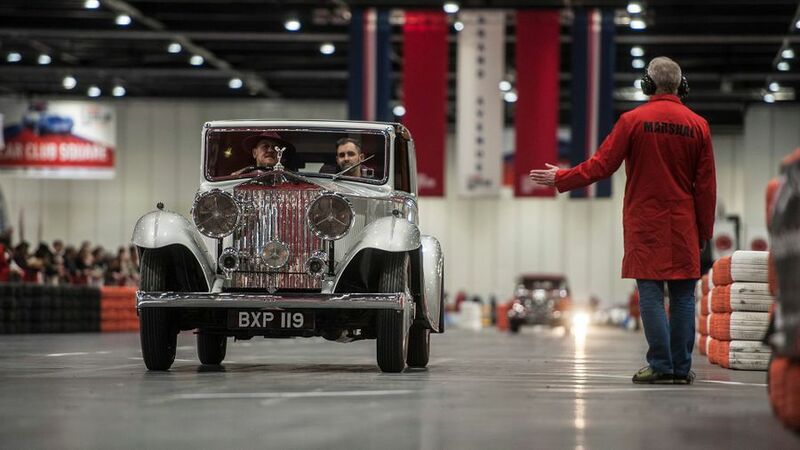 The London Classic Car Show will head to ExCel London once again in February 2019. 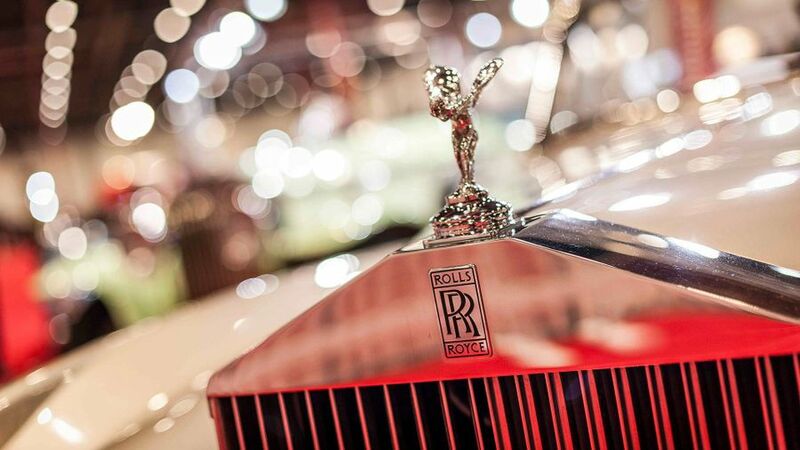 There’s lots to see at the show, from automotive legends, to manufacturers, dealers, car clubs, and of course, a whole load of beautiful classic cars. At the heart of the show is an indoor driving runway where cars are fired up and driven, giving visitors the chance to see, hear and smell all the iconic classics in action. You can visit the show from 14-17 of February. 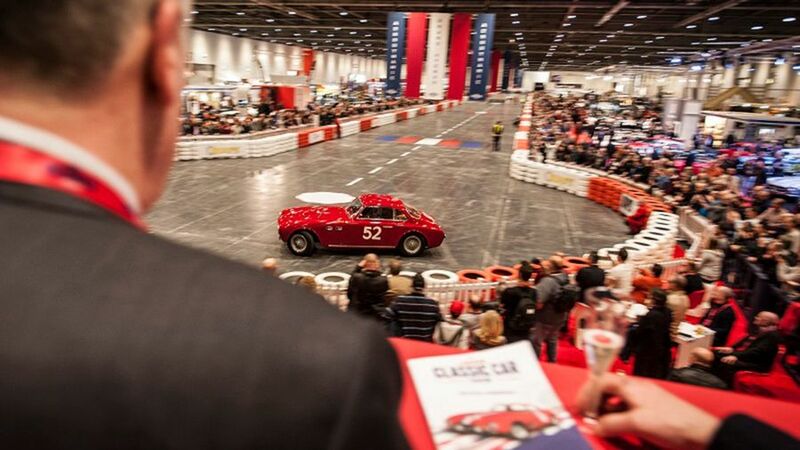 You can buy tickets on the London Classic Car Show site, and there’s a range of ticket prices and packages available. Or, you can enter our competition to win one of two pairs of tickets to this year’s London Classic Car Show. Head to our Twitter page to find out more. What’s on at the 2019 London Classic Car Show? For 2019, the London Classic Car Show will be celebrating the career of Ian Callum, Jaguar’s director of design. Ian will be honoured with the London Classic Car Show Icon Award 2019, and there will be an exhibition of his work. At the Grand Avenue, you’ll be able to see and hear an exciting range of cars. The theme changes every year, and for 2019, the London Classic Car Show is celebrating ‘Firsts’. That means you’ll be seeing cars that have pioneered new technologies, niches, or styles. There will also be a celebration of the Mini, as it’s 60-years-old this year. Happy Birthday Mini! It’s also been 50 years since one of the most memorable movie car scenes: the classic Mini chase from ‘The Italian Job’. Surviving cars and reproductions from the movie will be reunited in a special exhibit, including the red, white and blue Mini Coopers everyone remembers. But Minis weren’t the only cars in the film. The exhibit will also feature: Lamborghini Miura, Aston Martin DB4 convertible, Jaguar E-Type Coupe and Roadster, Bedford Val Coach, and OM Furgonato Sicurezza ‘Bullion’ Van. The birthday celebrations don’t stop there. French manufacturer Citroen is celebrating its 100th birthday, so there will be a centenary show highlighting the company’s evolution, from the vintage Type A through to modern classics. Edd China – known for presenting Wheeler Dealers – will showcase a range of exceptional aero engine machines, including the 27-litre V12 Thomas Special ‘Babs’, 27-litre Hispano Suiza V12, 1921 V8 GN Curtiss, and 1926 GN Parker. If you’re in the market for a new classic, Quentin Wilson and Classic Cars editor Phill Bell will be holding seminars throughout the show, sharing their expert market tips on the best classics to buy and enjoy now, and how to avoid making a purchase you may later regret. The Supagard Theatre will host a series of talks featuring automotive legends, investment panels, celebrity guests, and classic car debates. And on top of that, Car Club Square is the area for the UK’s leading car clubs, who have all bought models to show off; PopBangColour, who creates incredible custom paintjobs entirely out of remote-control cars, will showcase his ‘Mini-on-Mini’ creation; and the Historic Motorsport section will give visitors the opportunity to learn how to go from garage to grid. The promoter is: Auto Trader Limited of 1 Tony Wilson Place, Manchester M15 4FN. 1.1	The title of the prize draw is London Classic Car Show Ticket Giveaway. 1.2	Entrants will be required to retweet the relevant post on @AutoTrader_UK between 10am Saturday 9th February 2019 and 23:59pm Sunday 10th February 2019. Two winners will be selected at random from all entries which comply with these terms and conditions. 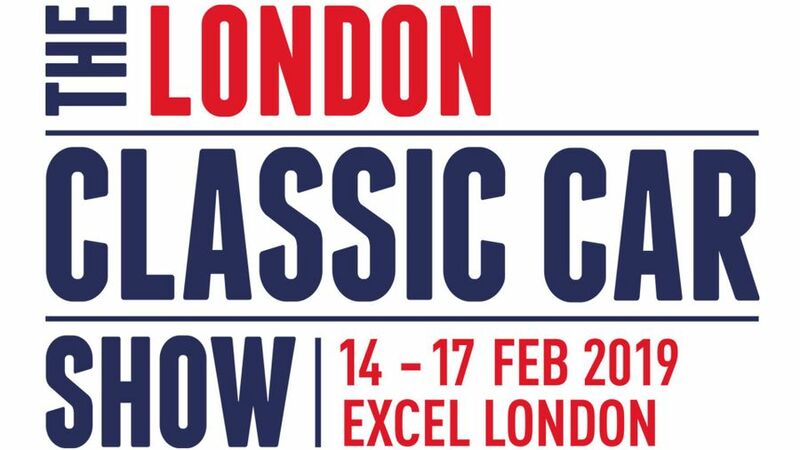 The winning entries will win a code that can be redeemed for two tickets that allow entry to the London Classic Car Show 2019 on either Friday 15th February, Saturday 16th February OR Sunday 17th February 2019. 2.1	The prize draw will run from 10:00 on 9th February 2019 (the "Opening Date") to 23:59 on 10th February 2019 (the "Closing Date") inclusive. 2.2	All prize draw entries must be received by the Promoter in accordance with paragraph 3.3 below by no later than 23:59 on the Closing Date. All prize draw entries received after the Closing Date are automatically disqualified. 2.3	To enter the prize draw, entrants must retweet the tweet promoting the competition posted on the Promoter’s @AutoTrader_UK Twitter account on Saturday 9th February 2019, and such retweet must take place prior to the Closing Date. 2.4	No purchase necessary. A valid Twitter account is required and there is no charge to register for use of the Twitter platform. 2.5	The Promoter will not accept responsibility for prize draw entries that are lost, mislaid, delayed, or otherwise not received by the Promoter due to equipment failure, technical malfunction, systems, satellite, network, server, computer hardware or software failure of any kind. 2.6	By submitting a prize draw entry, you are agreeing to be bound by these terms and conditions. 2.7	The winning prize draw entries will be selected by random draw. (c)	members of the immediate families or households of (a) and (b) above. 3.2	In entering the prize draw, you confirm that you are eligible to do so and eligible to claim the prize. The Promoter may require you to provide proof that you are eligible to enter the prize draw. 3.4	There is a limit of one entry per person. Entries on behalf of another person will not be accepted and joint submissions are not allowed. 3.5	The Promoter reserves all rights to disqualify you if your conduct is contrary to the spirit or intention of the prize draw. 4.1	The prize is a code that can be redeemed for 2 tickets for entry to the London Classic Car Show 2019 on either Friday 15th February, Saturday 16th February OR Sunday 17th February. 4.2	The prize is provided and fulfilled by the London Classic Car Show. 4.3	Any other costs incurred in addition to those set out above and that are incidental to the fulfilment of the prize are the responsibility of the winner. 4.4	Prizes are subject to availability and cannot be redeemed for monetary value. The Promoter reserves the right to substitute the prize with a prize of equal or greater value if circumstances beyond the Promoter's control makes it necessary to do so. 4.5	The prize is not negotiable or transferable. 4.6	The winners will be required to comply with such terms and conditions as may be required by the prize provider in connection with the winner’s attendance at the event which the prize allows access to. The Promoter has no control over such event and therefore, without prejudice to the generality of paragraph 7 below, the Promoter shall, to the furthest extent permissible by law, have no liability to the winner for any loss or damage suffered by the winner in connection with the event itself. The winner must adhere to all instructions (including health and safety instructions) provided by the London Classic Car Show during the event. 5.1	The decision of the Promoter regarding any aspect of the prize draw is final and binding and no correspondence will be entered into about it. 5.2	The Promoter will contact the winners via direct message on Twitter as soon as practicable after the Announcement Date. The Promoter will not amend any contact information once the prize draw entry form has been submitted. 5.3	To claim the prize, the winners must respond to the Promoter’s direct message on Twitter by emailing SocialMedia@autotrader.co.uk with a copy of some form of photographic ID. This must be done by Monday 11th February before 17:00. 5.4	The winners of the prize draw will be announced on Twitter via @AutoTrader_UK at 11am on Monday 11th February 2019 (Announcement Date). 6.1	Following the winner’s email in accordance with paragraph 5.3 above, please allow 3 working days for delivery of the prize. 6.2	The prize may not be claimed by a third party on your behalf. 6.3	The Promoter will make all reasonable efforts to contact the winners. If the winners cannot be contacted or are not available, or have not claimed their prize in accordance with the timescales specified at paragraph 5.3 above, the Promoter reserves the right to offer the prize to the next eligible entrant selected from the correct entries that were received before the Closing Date. 6.4	The Promoter does not accept any responsibility if you are not able to take up the prize. Insofar as is permitted by law, the Promoter, its agents or distributors will not in any circumstances be responsible or liable to compensate the winner or accept any liability for any loss, damage, personal injury or death occurring as a result of entering this prize draw or taking up the prize except where it is caused by the negligence of the Promoter, its agents or distributors or that of their employees. Your statutory rights are not affected. 8.1	You agree that the Promoter may, but is not required to, make your entry available on its website(s), social media platforms and any other media, whether now known or invented in the future, and in connection with any publicity of the prize draw. You agree to grant the Promoter a non-exclusive, worldwide, irrevocable licence, for the full period of any intellectual property rights in the prize draw entry and any accompanying materials, to use, display, publish, transmit, copy, edit, alter, store, re-format and sub-licence the prize draw entry and any accompanying materials for such purposes. (b)	you will produce evidence of any required consents at the Promoter’s request, or risk being disqualified from entering the prize draw. 10.1	Entrants are deemed to have accepted and agreed to be bound by these terms and conditions upon entry. 10.2	If there is any reason to believe that there has been a breach of these terms and conditions, the Promoter may, at its sole discretion, exclude you from participating in the prize draw. 10.3	If an act, omission, event or circumstance occurs which is beyond the reasonable control of the Promoter and which prevents the Promoter from complying with these terms and conditions the Promoter will not be liable for any failure to perform or delay in performing its obligations. 10.4	The Promoter reserves the right to hold void, suspend, cancel, or amend the prize draw where it becomes necessary to do so. 10.5	These terms and conditions shall be governed by English law, and the parties submit to the exclusive jurisdiction of the courts of England and Wales.